The benefits of cutting air pollution could add 1.3 years to the lifespan of the average Indian, and nearly three years to residents of Delhi and the most polluted areas of Uttar Pradesh. Air pollution is an insidious killer. If you are among the 91% of the world’s population who breathes air the World Health Organisation (WHO) deems unsafe, then every time you inhale, microscopic particles are being drawn into your lungs. They get into your bloodstream, causing cancers, strokes and heart disease, stunting children’s growth and development, and even reducing your intelligence. Now, a new study by IQAir AirVisual and Greenpeace has identified the cities where air pollution is highest. The list is dominated by India, with seven of the worst 10 cities, and 22 of the worst 30. The most polluted city on earth is Gurugram, a financial and industrial hub of nearly 1 million people situated about 30 kilometres southwest of New Delhi. 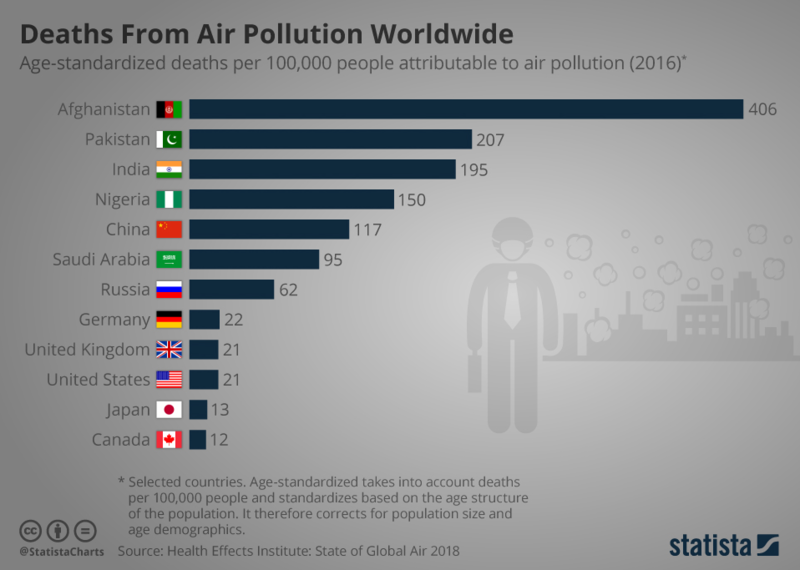 There, average air pollution levels in 2018 were more than 13 times the level permitted under WHO guidelines, although air quality had actually improved slightly since the previous year. 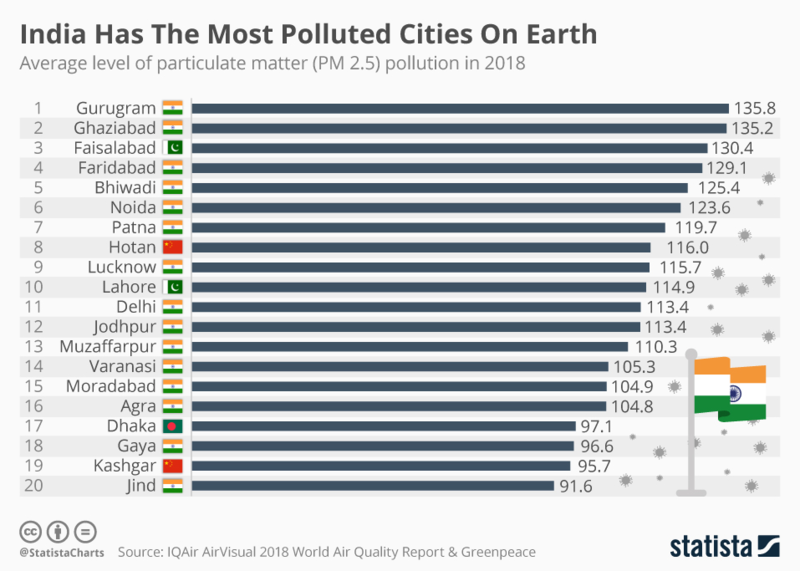 Like Gurugram, the next four Indian cities on the list are satellites of Delhi, which is the most polluted capital on earth. Patna and Lucknow, along with Faisalabad and Lahore in Pakistan, and Hotan in China, round out the worst 10. The research focussed on the levels of fine particulate matter known as PM2.5. These microscopic particles 20 times smaller than the width of a human hair are the most damaging to human health. They can be metals, organic compounds or the by-products of combustion from coal-fired power stations, wood and charcoal-burning stoves, vehicle engines and factories. The cost of this type of air pollution is immense – both to human health and the economy. Globally it causes 7 million premature deaths a year, and reduces life expectancy by an average of 1.8 years, making it more harmful than smoking. The financial cost is estimated at $225 billion in lost labour alone, and trillions of dollars more in healthcare. The World Bank estimates that air pollution costs India the equivalent of 8.5% of GDP – a huge drain on resources. And with the economy forecast to grow rapidly, increasing industrialization could exacerbate the problem even further. 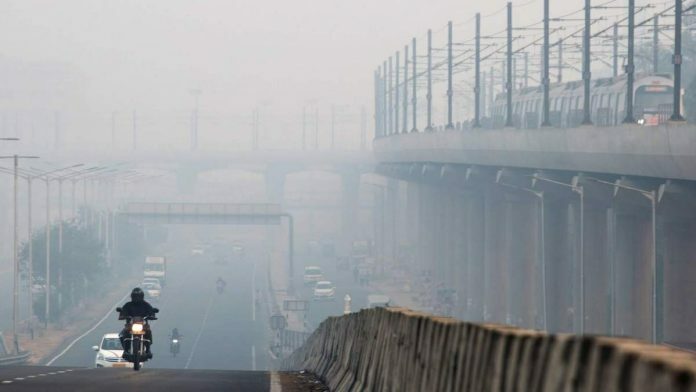 This has prompted India’s government to launch a new National Clean Air Programme, part of what Environment Minister Harsh Vardhan describes as a “war on pollution”. It aims to reduce particulate pollution by 20 to 30% over the next five years, through a combination of national initiatives and measures specific to individual cities. If it’s successful, the benefits could be dramatic – adding 1.3 years to the lifespan of the average Indian, and nearly three years to residents of Delhi and the most polluted areas of Uttar Pradesh. Proposals include reducing public transport’s reliance on diesel, encouraging industry to switch to cleaner energy sources, and cutting road traffic by raising fuel taxes and levying congestion charges. But perhaps the most impressive results can be achieved with the simplest solutions: for example, experts argue that giving clean cooking stoves to all India’s villagers would cut air pollution by one-third immediately. For inspiration, India can look across the Himalayas. China’s unprecedented economic growth came with the unwanted side effect of air pollution that sometimes blanketed cities in choking smog for days at a time. But ambitious policies have succeeded in significantly reducing particulate and sulphur dioxide levels in many parts of the country over the last few years. Experiences elsewhere also show that measures to tackle pollution more than pay for themselves. The air in many European cities is cleaner now than a generation ago. In the 1960s California had some of the highest pollution levels in the world. But half a century of environmentally friendly policies and investments in cleaner alternatives have made it a world leader in reducing pollution. It’s estimated for every dollar spent on curbing air pollution, the state of California got $30 back thanks to improved health, new jobs and better productivity – proof that the price of progress doesn’t have to include the air we breathe. This article is written by Alex Thornton, who is a senior writer, Formative Content. You can find the original article at the World Economic Forum.